Battlerite is the arena brawler everyone's raving about. 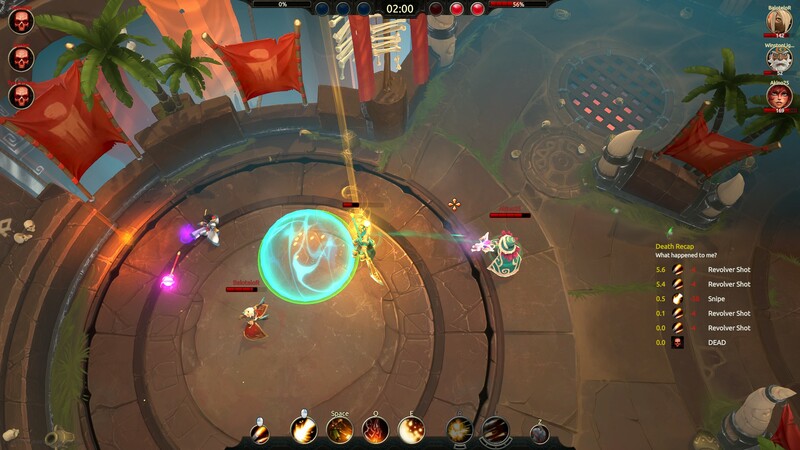 Battlerite is a top-down arena brawler following in the footsteps of Stunlock Studio’s previous success, Bloodline Champions. Despite the game being in Early Access, it has grown quite a large following and has seen much success on Steam, with a great number of reviews citing it’s reminiscent of popular MOBAs such as League of Legends and DOTA. 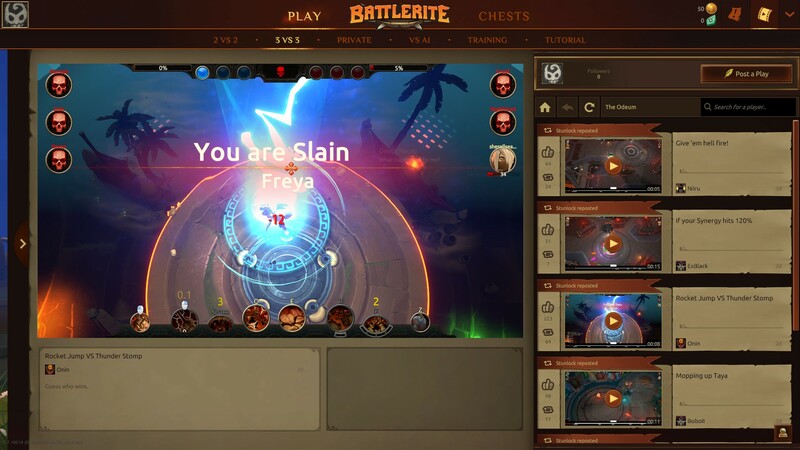 With overwhelming positive reviews on Steam, many players have attributed the success of Battlerite to its balanced, skill based and adrenaline pumping combat. Teams are 2v2 or 3v3 with the goal of being the first to 3 wins, and each round being around 2 minutes in length. As you finish quests you’ll earn chests that contain items such as clothing and weapons that allow you to give your characters personality. 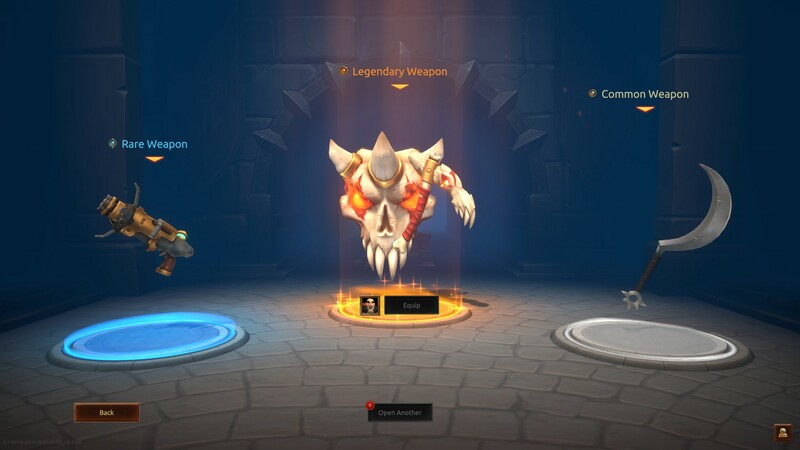 This in combination with Battlerites will add a level of customizability to your character’s abilities and personality for fun, dynamic games. Much like its predecessor Bloodline Champions, the community for Battlerite is active and eager to help. There’s no shortage of reviews and guides for the still-in-Early-Access indie game. Find introductions to any of the characters and an abundance of general gameplay tips. With a ranking system and talks of tournaments, Battlerite will definitely appeal to the more serious and competitive players. The game also has a feature called The Odeum where players can post and/or critique their game replays. Currently, you can buy Battlerite at $17.99 and players who purchase the game during Early Access will unlock all champions and future champions for the game. It’s important to note that it will be free to play upon release although access to all champions and future champions hasn’t been confirmed. 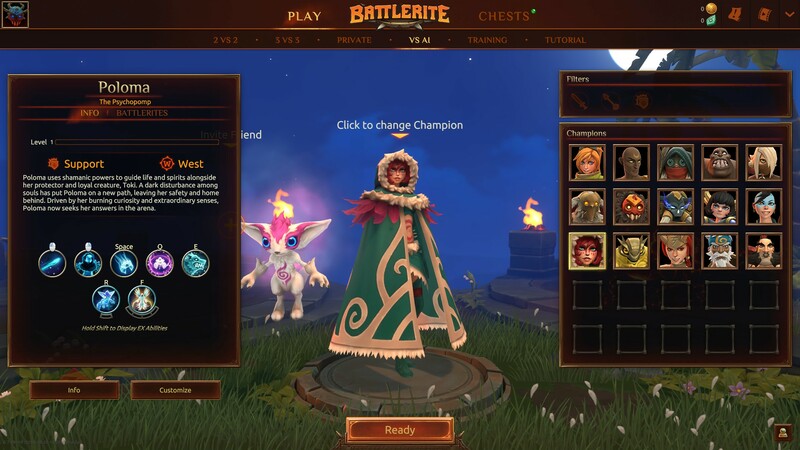 Check out Battlerite on Steam. For more cool games on Indie Obscura, check out the dark Metroidvania game from the developers of Jotun - Sundered, take a look at this awesome space exploration game Astroneer, and watch our interview with Transport Fever's Stephan Schweizer.